"New van and SUV fusion genre aimed at drivers with active lifestyles." 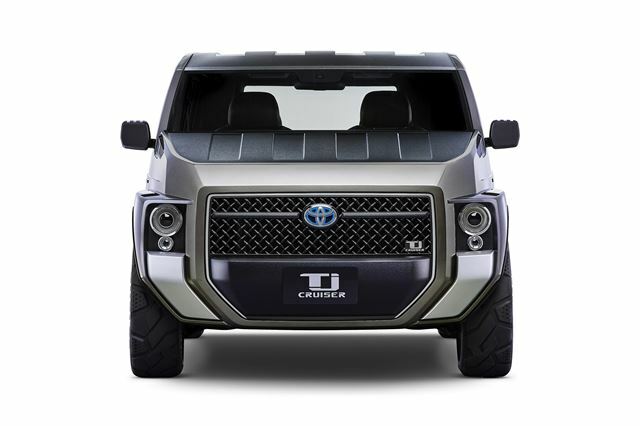 Tj Cruiser showcased for the first time at the 45th Tokyo Motor Show 2017 at Tokyo Big Sight from October 25 to November 5 2017. The Tj Cruiser represents "the harmonious balance between the roominess of a cargo van and the powerful design of an SUV." The Tj Cruiser is designed for drivers with lifestyles where work and play dovetail seamlessly. The “T” in Tj Cruiser stands for “Toolbox” in reference to how the car can be used like a toolbox, while the “j” stands for “joy” in reference to the joy of visiting various places by car. The name “Cruiser,” which is traditionally used for Toyota’s SUV line-up, is assigned to the Tj Cruiser to express the power of the vehicle. Inside, the passenger seat can be reclined completely flat, and not only can the Tj Cruiser easily hold outdoor equipment, it can also store large items such as three-metre long surfboards and bikes. The square-shaped cabin, similar to that of a van, exudes high utility. Meanwhile, the sturdy suspension and large SUV-sized wheels and tyres (225/50/R20) are fused with a bold front. 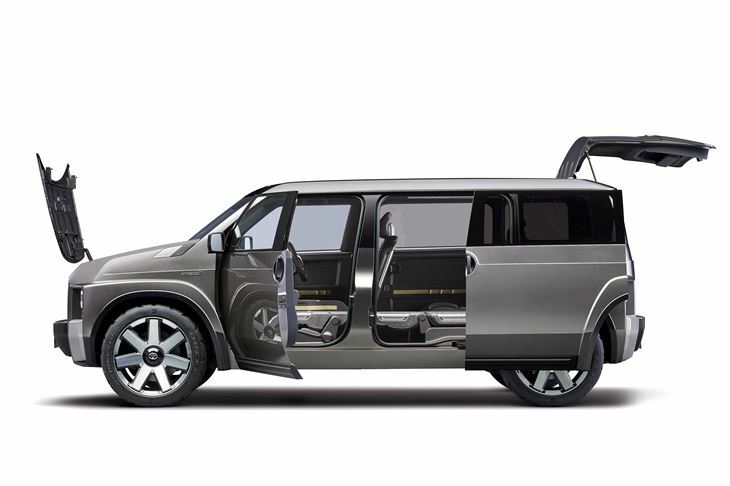 The Tj Cruiser symbolises a new genre incorporating the strengths of a van with those of an SUV. The bonnet, roof, and bumpers use materials (with special coating) that resist scratches and dirt, even when objects accidentally come into contact with them. 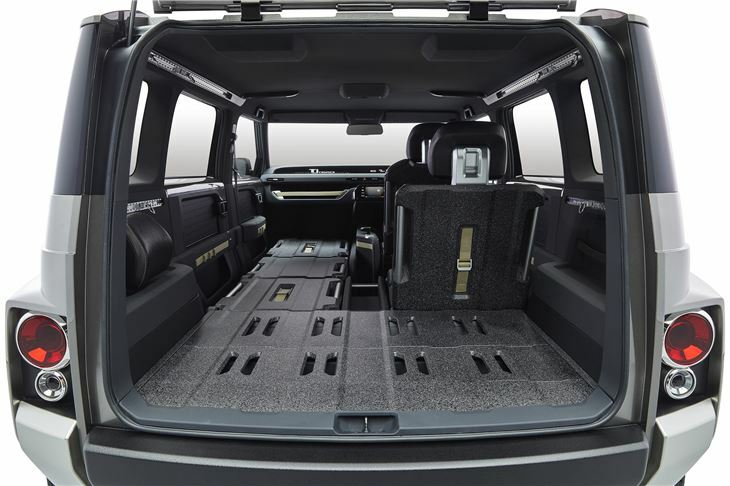 The front and rear passenger seats can be reclined completely flat for storing long items up to three metres in length, such as surfboards. The backs of the seats and deck boards include numerous tie-down points to enable easy anchoring of items from small packages to longer objects. Moreover, the large opening of the back door makes for easy loading and unloading of large items such as bikes. 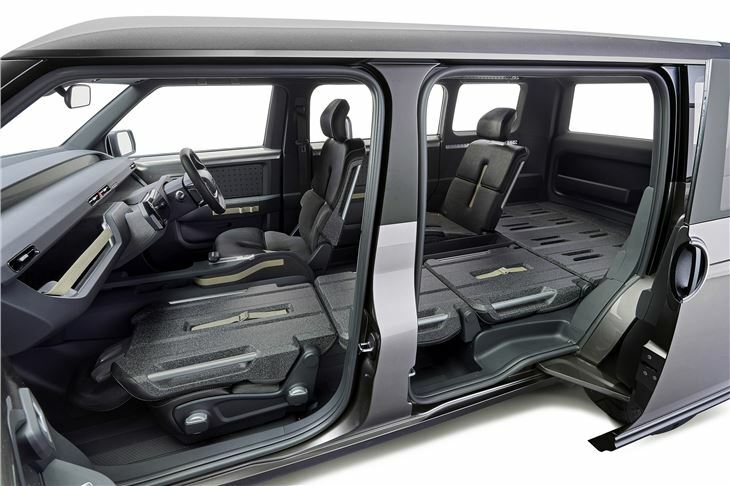 The seat cushion on the passenger seat directly behind the driver can be flipped up towards the front to create dedicated space for storing groceries or shopping items. The large openings of the sliding doors enable loading and unloading of large items from the sides and easy entry and exit for family members, as well. Use of the next-generation TNGA platform expected. To run on a 2.0-litre class engine + hybrid system. Front-wheel-drive, four-wheel-drive system to be used.